Progress Report in December 27th 2010 from the Nile Institute re the Ideas for a Free Society project. 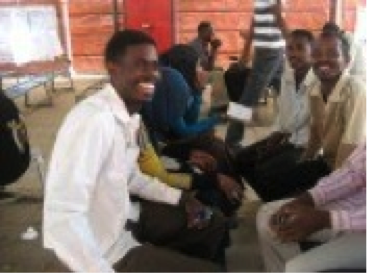 “During the summer of 2010, the Nile Institute of Economic Studies was able to launch courses promoting democracy and entrepreneurship using a wide variety of texts that were made available through the Ideas for a Free Society CD in Khartoum. One of our philosophy debate courses spotlighted John Stuart Mills’ On Individuality. I would really like to make mention of this particular text because the class had students that were from various parts of Sudan and On Individuality sparked a great amount of debate amongst the students. I believe their discussions over the text enabled them to build a bridge that drew them closer together and allowed them the opportunity to perceive themselves as individuals rather than simply extensions of whatever particular tribe they were from. Discussions such as these are indispensable, especially at a time when identity conflict is a growing concern in Khartoum. It goes without saying that one of the greatest benefits of having the cds available is that they are a cost-effective method of distributing a great deal of text material to a large audience. 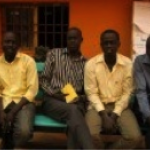 However, a far greater benefit of the cds in a country like Sudan, where texts such as those featured in the cd are widely censored, the cds provide a discreet cover-up. Our staff and volunteers did not come across any challenges in passing out cds to lots of students as we went around campuses in Khartoum, discussing our Institute. Seems to be an oxymoron but we were able to openly distribute these cds, though the simple fact that they were not actually books helped keep us under the radar. “it seems as though Sudan will be splitting in two in the upcoming months. Even at this point it is unclear how this transition will take place. As any patriot would be, I am beside myself with the splitting of the two regions and am greatly concerned about the fate of those living in the southern region. It is clear that neither government is prepared for the secession and I am already hearing personal stories about the displacements that are taking place. Unfortunately the situation in Sudan made this impossible.